Cellular machines like the ribosome, spliceosome, or replisome contain multiple components that transiently associate with one another. This compositional and dynamic complexity presents a challenge for understanding how these machines are constructed and function. 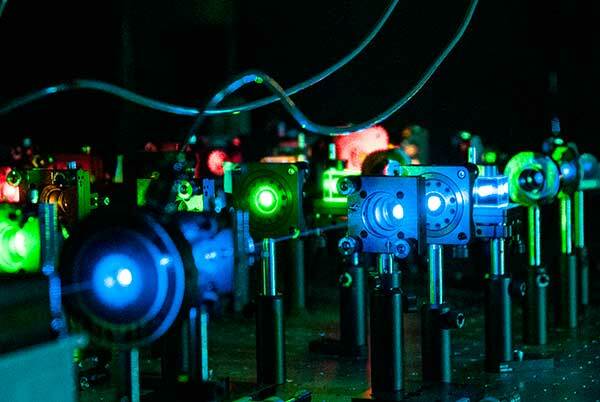 Colocalization single molecule spectroscopy (CoSMoS) is used by the Hoskins laboratory to watch individual components of these machines in real-time. Colocalization experiments can yield valuable information about assembly pathways, compositional heterogeneity, and kinetics that together contribute to the development of richly detailed reaction mechanisms. The Hoskins lab focuses on using CoSMoS along with biochemical and genetic assays to understand how spliceosomes carry out RNA processing in eukaryotes.